There are a few ways one could approach source material like this. There is the pretty straightforward, cat/daughter dies, we bury them in the woods, they www.mmdst.come back to life and people die sort of way. Then there's the way that Kevin Kolsch and Dennis Widmyer, the duo behind the indie horror hit Starry Eyes, approach it. They have a truly visionary, deep and www.mmdst.complex take on Stephen King's novel that takes some very serious liberties, while also maintaining its integrity and overarching themes. It's a tough thing to do, but they've done it. Because of that, it doesn't feel like repeat viewing for those who have seen the 1989 version, nor does it feel like it's giving the finger to the book. It feels fresh and deeply inspired. From a performance standpoint, it's hard to ask for any better. Jason Clarke has been trapped in some unfortunately not-so-great movies in the past (Terminator: Genisys), or he's been outshined by what was happening around him (Dawn of the Planet of the Apes). This is the best version of Clarke and he was the best man for the job. Perhaps his best performance to date. Amy Seimetz is, in a word, outstanding. The "mom" role sometimes runs the risk of being boring. Not here, and that's all Semetz. John Lithgow, as he always does, hits his part out of the park in a perfectly cast role, elevates the material and is a credit to the movie. We also have a standout, breakout performance from the young Jete Laurence. Some of the major changes made to the material were done in order to showcase her talents. And it was worth it. Also, Church the cat is destined to bewww.mmdst.come a horror icon after this. There is something in the water right now. Some www.mmdst.combination of the times we live in, studios taking horror very seriously and the right filmmakers out there with the right vision, but we're living in a golden age of Stephen King adaptations. I'm not going to say this is the best King adaptation of all time. I will, however, say that this is one of the most bold and innovate interpretations of his work ever put to screen. This is unquestionably an A-list Stephen King movie. 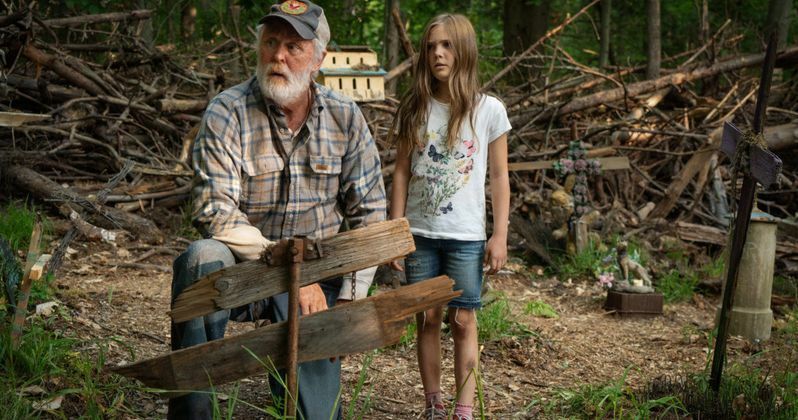 Pet Sematary arrives on April 5 from Paramount Pictures. Disney Resurrects Lucasfilm Games, Is a New Star Wars Game in Development?